Surrounded by the lush Caribbean Sea and boasting some of the warmest year-round temperatures in the Caribbean, Jamaica is a firm favourite for tropical holidays. The island boasts a wealth of cultural heritage and is home to infectious people where they are remarkably and refreshingly laid back. Probably the most famous Jamaican, Bob Marley, is a great example of the Jamaican people - with his ground-breaking reggae music and legacy still relevant around the world today. The Bob Marley Museum in Kingston is on the site of the legendary musician’s home, which he bought in 1975 and is definitely worth a visit. Jamaica is also home to Island records which signed not only Bob Marley, but U2 and more recently Mariah Carey. Rather than staying in resort in Jamaica, go out and explore all that this incredible island has to offer. The most magnificent beaches are on the west coast along Negril. While it is often referred to as the seven-mile beach, it is in fact just over four miles of unspoilt and uninterrupted white-sand, met by the lush warm tranquil water of the Caribbean Sea. Along this famous coast you can go diving or snorkelling around the protected reef areas for a really spectacular marine life-watching experience. 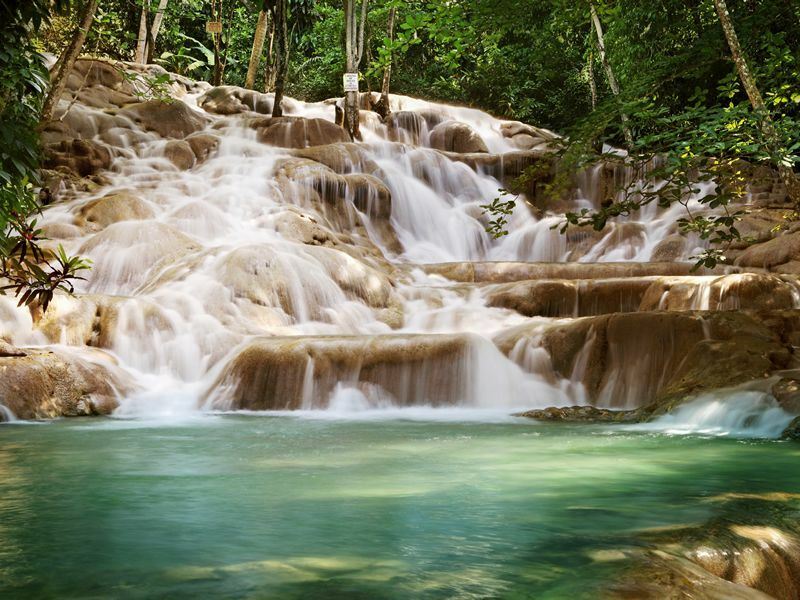 To witness the local culture, Montego Bay, Trelawny and Ocho Rios all have much to offer. Each town differs in architecture and atmosphere, from local fishing village to home of Duns River Falls, the most visited attraction of the area. The waterfall is a national treasure, with its unique 600 feet of climbing pleasure, visited by thousands every year. With its gorgeous beaches, protected reefs, musical heritage and great laid back culture, Jamaica offers much more than you might expect. Take full advantage of your time in this great country and do some exploring, as well as enjoying just one of the superb luxury resorts we have to offer.